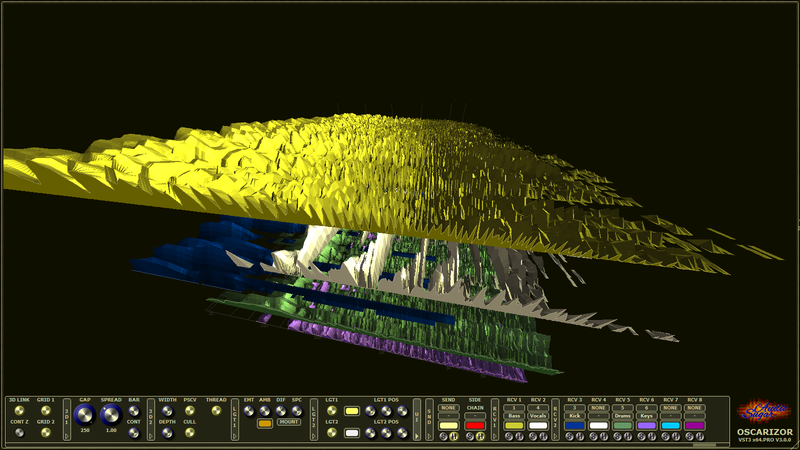 Sugar Audio has released “Oscarizor 3.0 – Waterfalls And Shapes” – the 2D/3D multi channel spectrum analyzer VST / VST3 / AU and AAX audio plug-in. The new version introduces 2D/3D waterfall models, the highly customizable SA 3D Engine 2.0 using lighting, model sizing and much more. Again the new version is free for existing customers. Please have a look at the product page and the video.